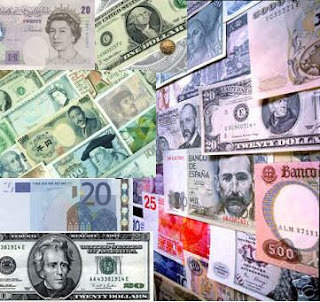 The foreign exchange market (currency, forex, or FX) trades currencies. It lets banks and other institutions easily buy and sell currencies. The purpose of the foreign exchange market is to help international trade and investment. A foreign exchange market helps businesses convert one currency to another. For example, it permits a U.S. business to import European goods and pay Euros, even though the business's income is in U.S. dollars. In a typical foreign exchange transaction a party purchases a quantity of one currency by paying a quantity of another currency. * the variety of factors that affect exchange rates. Main foreign exchange market turnover, 1988 - 2007, measured in billions of USD.